Once in a while, for some inexplicable reason, a film comes along that audiences just get. 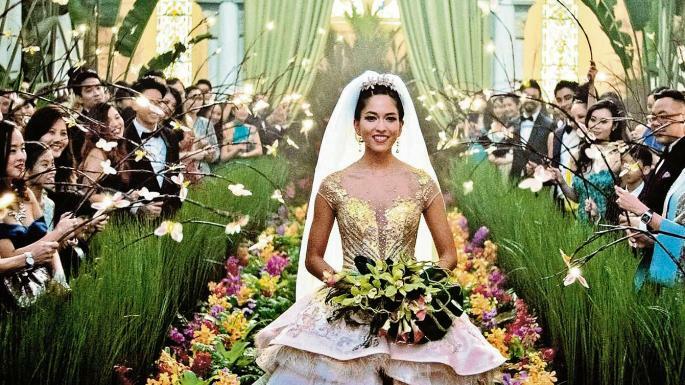 Rom-com Crazy Rich Asians is one such flick – to the impressive global box office take of just shy of £240 million. The reason its success cannot be explained? Well, it isn’t very good. Now bad films get released all the time – God knows we’ve sat through enough of them - but none do the kind of business this one did. Perhaps everyone in Asia saw it – twice – during a really bad week of releases at the cinema, but whatever the reason, it will have to be put down to some freaky anomaly. Many were surprised that the fishing competitions main prize was a bride. 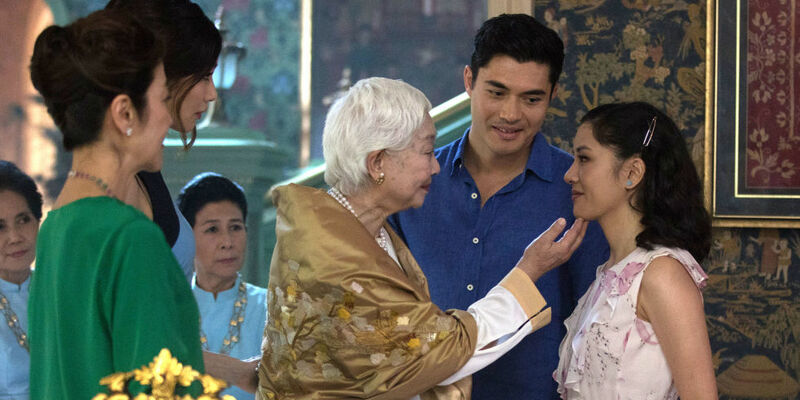 Rachel (Constance Wu), an economics professor in NYC, loves Nick (Henry Golding). And luckily for her, he loves her too. So much so that when a close friend of his decides to get married in their home country of Singapore, Nick asks Rachel to be his date. Of course Rachel agrees, excited that meeting his family is clearly the next step in their relationship. What she isn’t aware of though, is that Nick comes from money, with his family flush with old money from China, investing heavily in real estate in Singapore, to the point where they pretty much own most of it. Once there, it doesn’t take her long to realise that snobbery exists, and despite her academic position, her family background is considered lacking, in particular by Eleanor (Michelle Yeoh), Nick’s mother, who feels her son could do a hell of a lot better. Yes she will do well as a suitable sacrifice to the Gods. The fact that the majority of the cast is Asian isn’t enough to distinguish this particular title in the rom-com genre. It would be kind to say that it follows the more traditional, conventional aspects of the genre, but the reality is, that it’s an incredibly tired script. The story is woefully predictable, with the only surprise being that they managed to draw it out ever so slowly to the two hour mark. Wu, who, for anyone who has caught her on the consistently funny show Fresh off the Boat, has a great gift for comedy, so it’s disappointing to see her talents so blatantly wasted here. But she’s not the only one. Comedians Awkwafina and Ken Jeong are offensively underused, with the director relying heavily on actors who struggle with the concept of acting generally, never mind comedy. The only aspect of this dour film that comes out of the experience looking good, is Singapore itself. As a travelogue, director Jon M. Chu (whose previous work includes a couple of Justin Bieber documentaries, and G.I Joe: Retaliation) captures the energy and glamour of the city. Sadly, clearly at the expense of the rest of the so-called romantic comedy. To make things more terrifying, there are two further sequels planned, which just goes beyond crazy, quite frankly. So how come this film was such a phenomenal success, considering how awful it is? The fact that its predominantly Asian cast certainly held appeal – despite the film being mainly spoken in English – but the people of Asia deserve so much better than this. We all do.